Live Color Customizer with Unlimited Color Options. With no doubt, you can control every color in Fildisi. Innovative Options Panel. 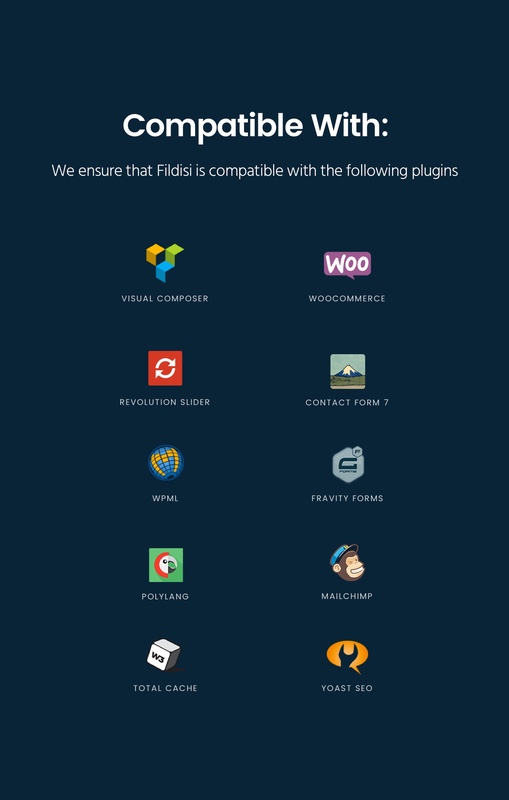 Fildisi Option panel is built with the renowned Redux Framework and gives you many configuration options in a user-friendly environment. Click the Fildisi tab from the main WordPress navigation and then you will be able to access and enjoy many core features of Fildisi. All the options have detailed descriptions in order to explain their purpose. Fildisi uses valid and clean code so that you make sure that Gooogle and other search engines will love it. It is also compatible with the most famous SEO plugins.